A field guide to social media. 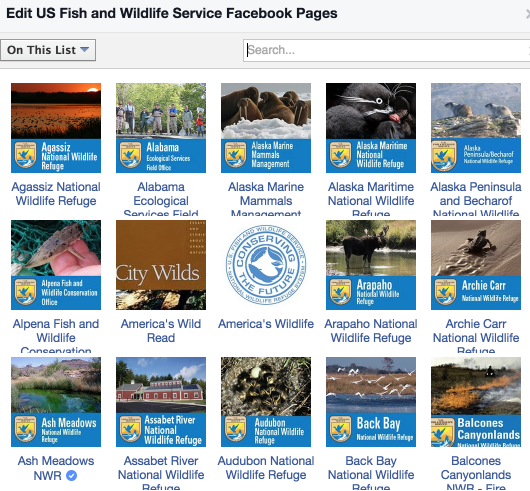 As someone who is constantly trying to break the social tools I use to get people thinking about wildlife, Facebook’s ability to create interest lists has been an incredibly effective way for me to keep tabs on a variety of subjects. What is a Facebook Interest List? 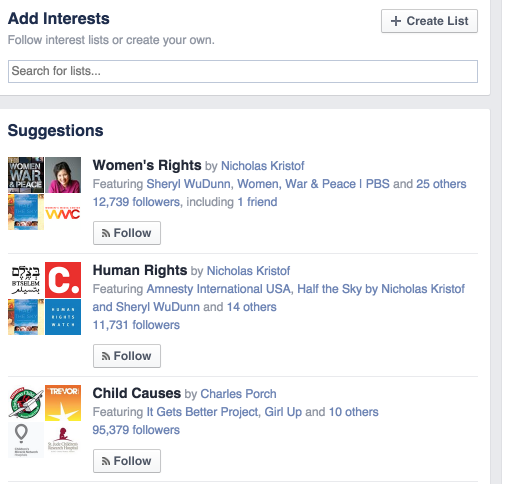 The simple answer is that an interest list is a collection of pages or profiles on Facebook. By creating lists, Facebook allows you to organize and have some control over posts you see other than the standard algorithm they decide for you. When you group pages or subject matter experts, they call them interest lists and this allows you to see timely updates from pages that are part of the lists you follow. Most of the lists I have created are collecting pages that represent subject matter experts, an interest or offer resources around wildlife. Creating a list for your own personal or professional needs is quite simple and really the first step is having an idea of what you’d like to include in your list. You don’t even have to “like” a page to add it to an interest. So technically, you can watch and observe posts from pages that you don’t want to publicly like through these lists. After you’ve created your lists, they will appear in your “bookmarks” section on the left hand side of your home feed. If you’re looking to create lists that can serve as a resource for others, consider creating a public interest list that others can follow (very similar to the public lists on Twitter). You can also search for subjects and follow other public lists if you don’t want to create your own. While the list has actually been out for several years, I feel like it is often a forgotten tactic in managing and listening on Facebook. Twitter lists are another similar resource, and I’ve found that by grouping by passion or subject, you can keep tabs on the conversations while being apart of a larger conversation. This may surprise you, most of my lists deal with wildlife. But you can make a list that collects and organizes any of your favorite pages that post updates you like. Have you ever used an interest list? If so, what was it?